These studies by Becky Pippert are clear and accessible, yet substantial and thoughtful explorations of how to be grounded and grow in Christian faith. They evidence years of experience working with people at all stages of belief and skepticism. I highly recommend them. Becky Pippert is one of the most effective communicators of the gospel I know. God uses her unique talents to appeal to both the mind and the heart. 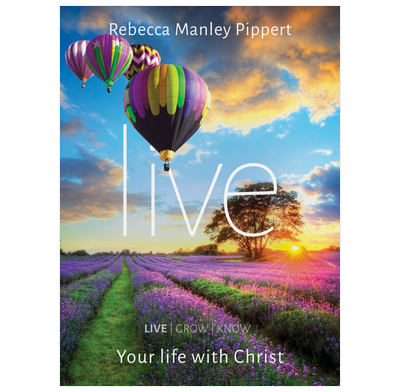 Becky's deep understanding of Biblical truth combined with her passion to see new believers grow in Christ makes LIVE a thrilling study for anyone who has recently been converted or is ready to make a commitment to Christ. I wish this captivating material had been available when I served as a pastor for forty years in Louisville, Kentucky. I would have made it available to every new convert. Pastors will find LIVE a very practical course for deepening the faith of new believers. Becky Pippert is a master of evangelism and discipleship. Her new book LIVE is a remarkable tool to help people not only share Christ in a credible manner but leads people towards discipleship at the same time. The simple and complete guide to living out ones faith in Christ is wonderful. This is a very practical and helpful instrument for discipleship. I am so thankful for this new book, Live, I highly recommend it.